Relaxing on a huge, comfy couch with your favorite book on a rainy day is one of life’s great comforts. But, depending on how you look for furniture on sale in Greensboro, NC, your cozy couch could be rather expensive. From living room suites to bedroom sets and everything else in between, it is easy to spend thousands of dollars furnishing your home. 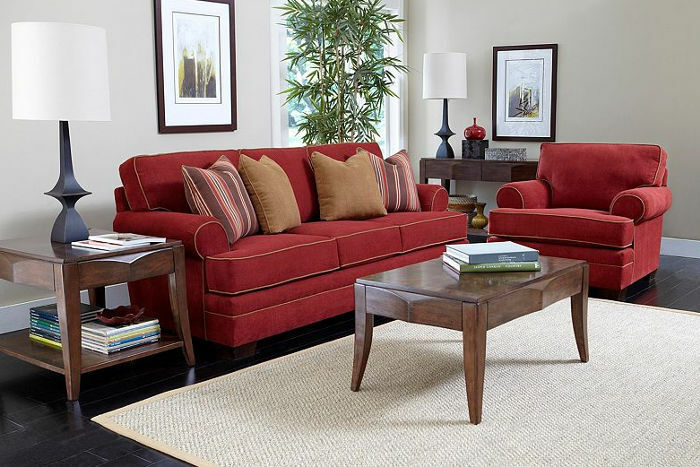 Here are six tips to help you find the best deals on furniture. It is far too easy to be tempted to use your credit cards or in-store credit to buy your next couch or dining room set. The problem with paying for your new furniture like this is that any purchase you make this way, will necessitate you paying interest. Depending on the amount of interest you are being charged and how long you take to pay off the purchase, it is possible you could end up paying double what your furniture originally cost. When it comes to furniture, you should never impulse buy. Instead, decide what furniture you want, and start paying attention to the local ads for furniture in Greensboro, NC. With a little patience, it is possible for you to save as much as 40 to 70 percent off the list price. You should, of course, start out by knowing the original list price. There is nothing better than a good furniture store coupon. While not all furniture stores issue coupons, you might be surprised at how many do. One thing to keep in mind is that some stores may not allow you to use coupons along with the sale price. You may be better off waiting until the sale is over and using your furniture coupon then if you can. You may find that buying an entire set of living room furniture can be less expensive than trying to buy everything you want one piece at a time. Some stores also offer extra discounts when you buy a complete room full of furniture. Buying your furniture this way also helps to ensure you get the look you want, rather than having to deal with a mix and match room. Many financing plans allow you to pay no-interest for 12 months or more. There are several things you need to be aware of in order to save money. Be sure you make the minimum monthly payments and that you pay off the balance in full before the promotional term is up. If you don’t, all the accrued interest will become due at the end of the contract. This could add hundreds to the cost of your furniture. You’ll find amazing deals at Midtown Furniture SUPERSTORE & Mattress Center in Madison, NC. Visit the showroom located at 727 North Highway Street in Madison, NC to find great deals on a wide selection of furniture and mattresses, or call (336) 427-5413.